It will stall when it is in load uphill. While in traffic or when it has been driven for long periods of time. It will be okay once you turn it off for a while. Idle is over a 1,000 while moving it will jump to 1,700 or even 2,000. If not moving it will stay in 1,000. Changed plugs, coils, fuel pump, has a new clutch. 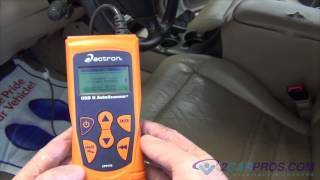 OBD 1, doesn't have O2 sensor, EGR. Have you confirmed the fuel pressure is within spec even though you replaced the pump? You could have a plugged filter, a bad regulator. Here is a link that shows in general how to check pressure. Since the engine does this when it is under a load, this is my first suspect. 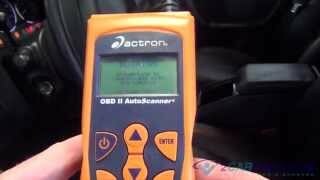 Next, is the check engine light staying on when the engine is running? If so, have you scanned it for trouble codes? Here is a link that discusses common causes for these symptoms. See if it helps. Here are directions for testing fuel pressure that I have. However, I am only showing a 2.0 and not a 1.6. In case you made a mistake, I am adding them. The attached pictures correlate with these directions. WARNING: Fuel line spills and leaks are dangerous. Fuel can ignite and cause serious injuries or death. Fuel can also irritate skin and eyes. To prevent this, always complete the "BEFORE REPAIR PROCEDURE". CAUTION: Disconnecting/connecting the quick release connector without cleaning it may possibly cause damage to the fuel pipe and quick release connector. Always clean the quick release connector joint area before disconnecting/connecting, and make sure that it is free of foreign materials. 1. Push apart the lock clip and unlock it. 2. Lift the tab on the blue locking coupler until the fuel line can be released. 3. Pull the fuel hose straight back. - The blue stopper may be removed from the quick connector. Be sure not to loose it. Reinstall it to the quick release connector before reconnecting the fuel line. - The orange locking coupler has two internal locking tabs which retrain the pulsation damper pipe. Be sure that the tab on the locking coupler is rotated until it stops to release two internal locking tabs. 3. Push the SST quick release connector into the fuel distributor and fuel main hose into the SST until a click is heard. 4. Turn the lever on the SST as shown. 5. Connect the battery negative cable. CAUTION: Connecting the wrong DLC terminal may possibly cause a malfunction. Carefully connect the specified terminal only. 6. Short the DLC terminal F/P to the body GND using a jumper wire. 7. Turn the ignition switch on and measure the fuel line pressure. - If the pressure is higher than specified, inspect the fuel pump maximum pressure. If normal, inspect fuel return hose or the pressure regulator is clogged. - If the pressure is lower than specified, proceed to Step (1). (1)Inspect change in the fuel line pressure while turning the lever as shown. - If the fuel line pressure quickly increases, inspect the pressure regulator. - If fuel line pressure gradually increases, inspect the fuel pump maximum pressure. - If the fuel pump maximum pressure is normal, inspect for clogging between the fuel pump and the pressure regulator. 9. Observe the fuel pressure after 5 min. If the fuel hold pressure is lower than specified, proceed to step (1). (1)Inspect changes in the fuel line pressure while turning the lever as shown. - If the fuel line pressure holds, replace the pressure regulator. - If the fuel line pressure does not hold, inspect the fuel leaks from the fuel line and the fuel injector. NOTE: A checker tab is integrated with the quick release connector for new plastic fuel hoses. The checker tab will be released from the quick release connector after it is completely engaged with the fuel pipe. 11. Inspect the plastic fuel hose and fuel pipe sealing surface for damage and deformation, and replace as necessary. - If the quick release connector O-ring is damaged or has slipped, replace the plastic fuel hose. 12. Reconnect the fuel main hose to the fuel distributor until a click is heard. 13. Pull the quick release connector by hand and verify that it is installed securely. 14. Attach the lock clip to the quick release connector in the direction of the fuel distributor and lock it, as shown in the figure. I will check the Fuel Pressure and get back however, there is one other thing. Usually when it does it that I put my foot to the throttle and the RPM comes down itself to 3,000 and spike back without me lifting the pedal. So I learnt how to check the throttle position sensor. I back probed the signal wire and ground with a multi meter with the key to its on position it went from 0.35 or so to over 3 volts respectively. When I do the same with the engine running hardly reaches 2 volts stays under that If I push it it will spike to 2.22 volts and jump back under 2 volts. I Switched my sensor with one my friends running vehicle but same. Can it be related to fuel pressure? Yes, fuel pressure can be an issue. When the engine is under a heavier load, it requires more fuel. If pressure isn't there or it starts losing volume, the engine will feel like its running out of gas. The more you press on the throttle, the worse it can get. Based on your description, that is one of the first things I would check. I can't guarantee it is the problem, but it is a good starting place. Also, if you haven't replaced the fuel filter, consider doing it. Take care and let me know if you need anything. Starts And Runs For 1-2 Sec. Then Dies Wont Idle.